Previously published on Matador Network Travelstoke. The Colosseum, the Vatican Museums, the Trevi Fountain. 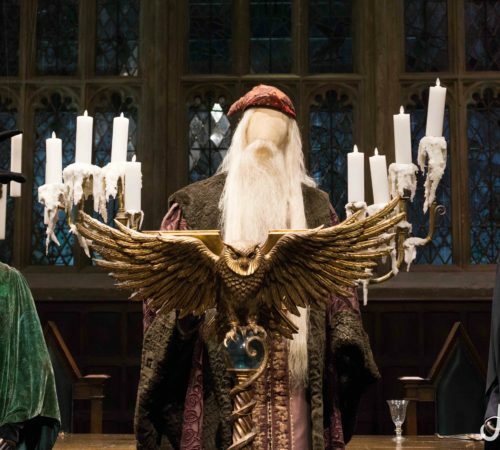 We know them and love them, but unfortunately so does everyone else. If you want to skip the throngs of tour groups and sight-seers, make haste to one of these under-appreciated but equally-illuminating cultural sites in the Eternal City. 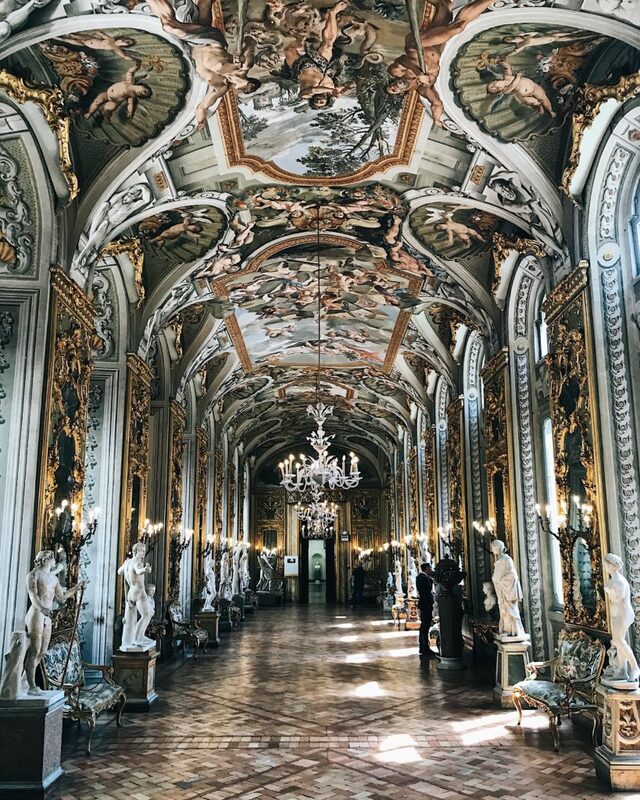 The antiquities hall at Galleria Doria Pamphilj. The Galleria Doria Pamphilij is a museum that features the private collection of the palace’s former resident: the ridiculously-wealthy nephew of Pope Innocent X. Velazquez’s famous portrait of Innocent X resides here, as well as equally-impressive masterpieces by Bernini, Caravaggio, and Titian. Fans of Flemish art will find Rome’s finest collection of Flemish masters within these halls. Gargantuan ruins at the Bath of Caracalla. 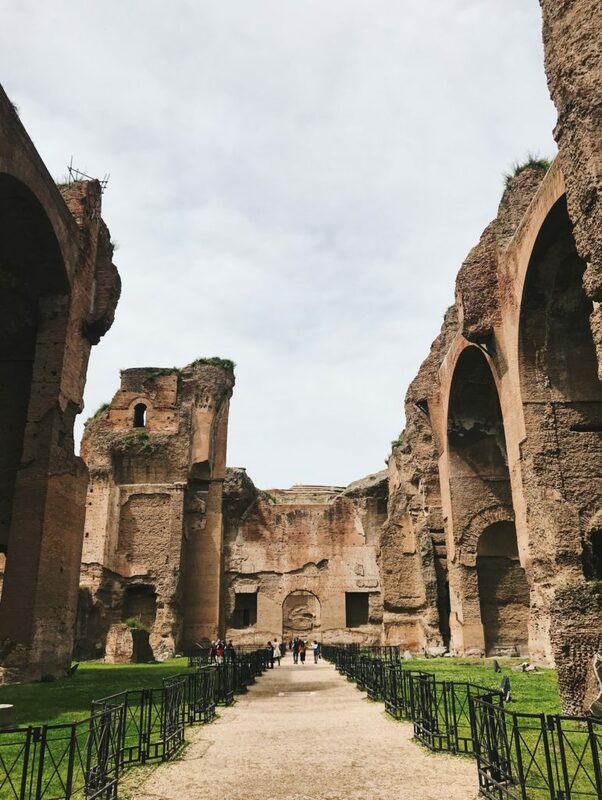 Prepared to be stunned before the magnificence of this massive ancient Roman bath complex located a short walk from the Circus Maximus and Palatine Hill. Imagine the walls of these ruins covered in marble, mosaics, and the finest statues of antiquity as 60,000 bathers made their way in and out with ease. It’s no wonder sights like these have inspired artists and writers throughout the ages (Shelley’s Prometheus Unbound was composed among these ruins). Goethe in the Roman Campagna inside the Casa di Goethe. Located at 18 Via del Corso (between Piazza del Popolo and the H&M) is the former home of the German novelist, playwright, philosopher, and statesman Johann Wolfgang von Goethe. The apartments are now a museum containing artifacts from Goethe’s Italian Journey. 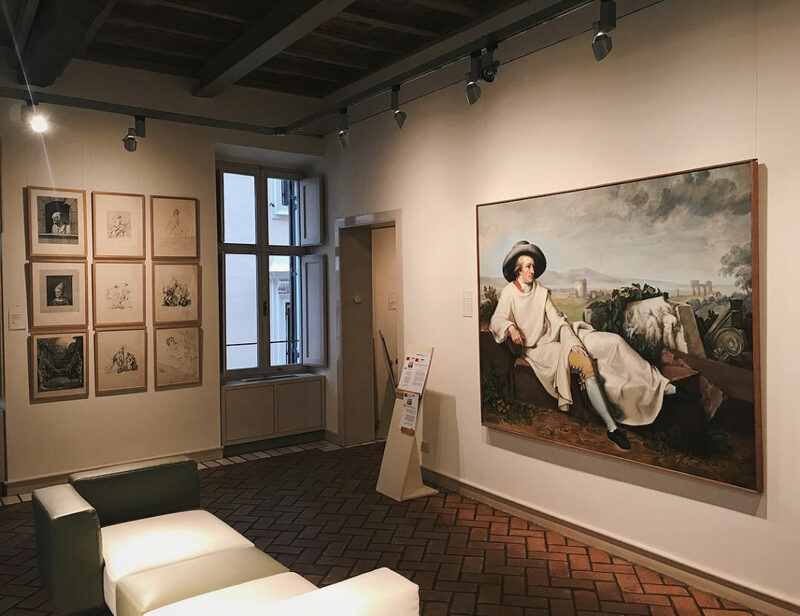 The museum documents this liberating time in the life of the one of the greatest thinkers of the 18th century, the exhibits to which culminate in two very special paintings: a copy of Goethe in the Roman Campagna and Andy Warhol’s pop-art tribute to the former. Palazzo della Civiltà Italiana in the EUR area of Rome. Lovers of unique architecture and WWII history will want to take the short bus ride to the EUR or Esposizione Universale Roma. Mussolini intended the EUR to become the new center of Rome and the architecture of structures like the Palazzo Della Civilta Italiana and Palazzo dei Congressi were designed to be symbols of Mussolini’s Fascist ideology. 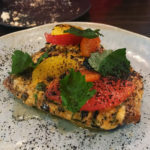 While that may not sound entirely appetizing on paper, the buildings have a strange alternate history beauty to them, and the Palazzo Della Civita Italiana serves now as the headquarters of the fashion brand Fendi. The library of the Keats-Shelley House. The Piazza di Spagna or Spanish Steps is almost surely on your itinerary. Did you know there is a museum dedicated to the some of the greatest English poets of all time right at the base of the steps? Enter into the Keats-Shelley House for a quiet reprieve from the bustle outside and learn about the lives and writing of John Keats, Percy Byshee Shelley, Lord Byron, and more. As a morbid bonus, you will see the room where Keats died in 1821, styled as it existed at the time of his passing. 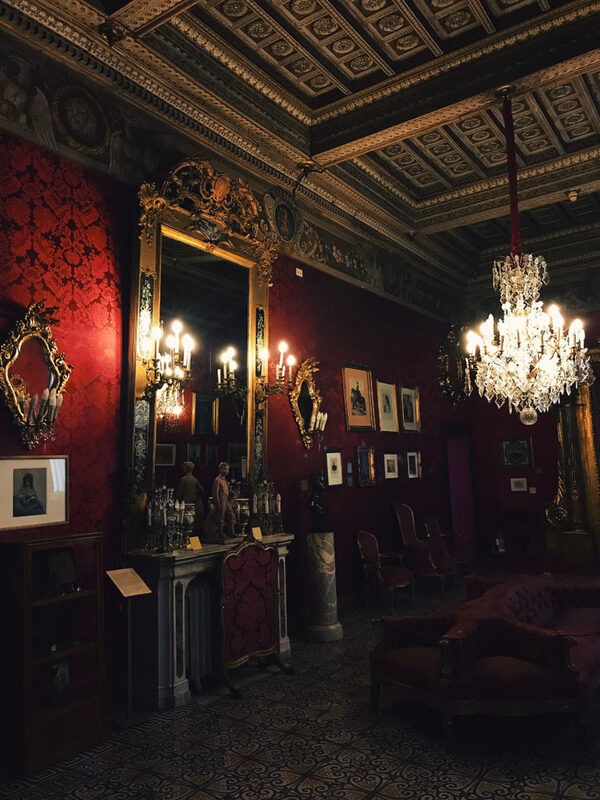 The Second Empire room of the Napoleonic Museum of Rome. This free museum offers a glimpse into the private lives of the major figures of the First and Second French Empires, beginning with the patriarch Napoleon Bonaparte and his siblings (specifically Joseph and Lucien). The Second Empire is represented in rooms decked in the elegance and extravagance of its time, overlooked by two portraits of Napoleon III. Rooms dedicated to the short life of Napoleon II (the styled “King of Rome”), Popes Pius VI and VII, and the family of Lucien Bonaparte (the descendants of whom are responsible for the museum’s collection) offer an intimate look at rarely seen aspects of 19th century Europe. Bath house mosaic at Ostia Antica. The ancient Roman city of Ostia was an important part of the Roman Republic and Empire, serving as the official port of the capital. Today, the sprawling 10,000-acre archeological site is a perfect half-day trip from Rome. 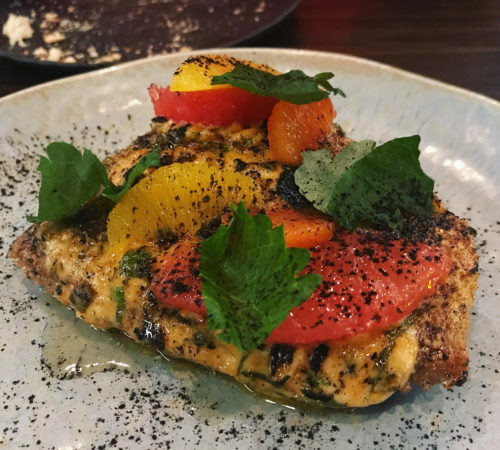 Think Pompeii without the crowds. 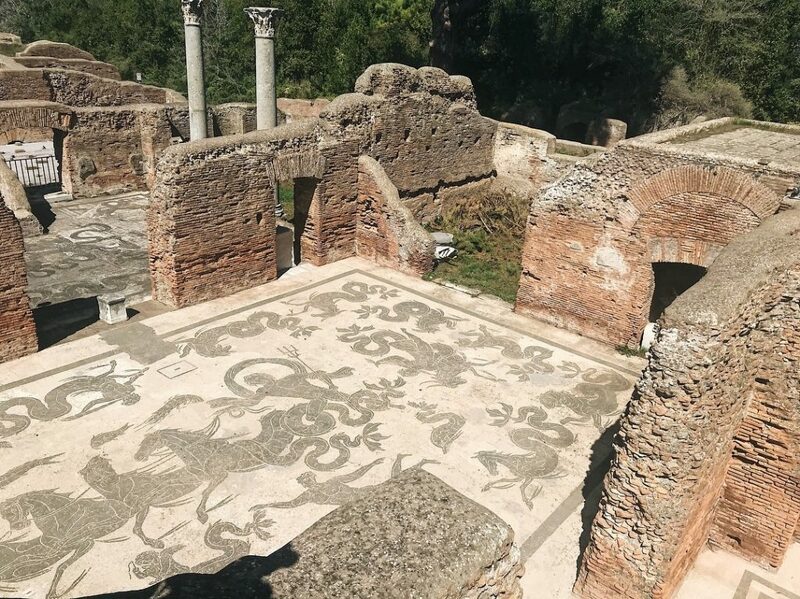 It’s easy to get to from the city center — about half an hour by train — and there is so much to see including amazing bathhouse mosaics, theaters, a forum not unlike the ones in Pompeii and Rome, and a little museum that houses statues and art discovered on the grounds. Pack a hat and water bottle and go exploring! 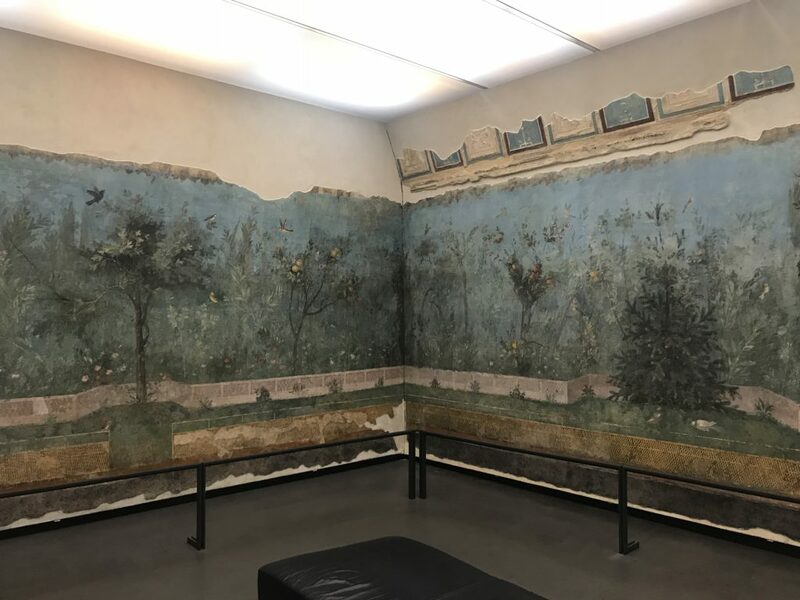 The Villa of Livia frescos at the Museo Nazionale Romano – Palazzo Massimo alle Terme. 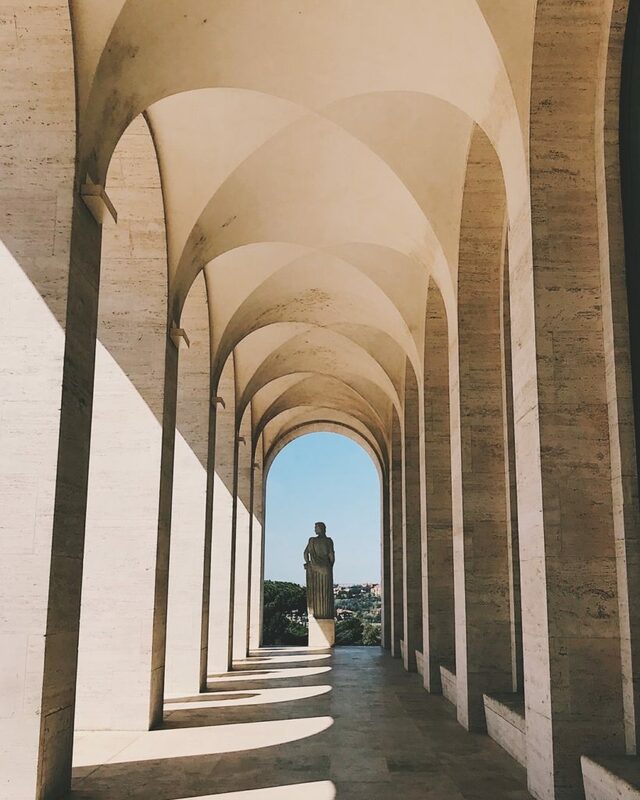 Conveniently located next to Termini Station, Palazzo Massimo alle Terme is one of four national Roman museums that are all generously included in one ticket purchase. The collection of Palazzo Massimo contains masterpieces like Via Labicana Augustus, the bronze Boxer at Rest, the Portonaccio sarcophagus, and the frescos of the Villa of Livia. 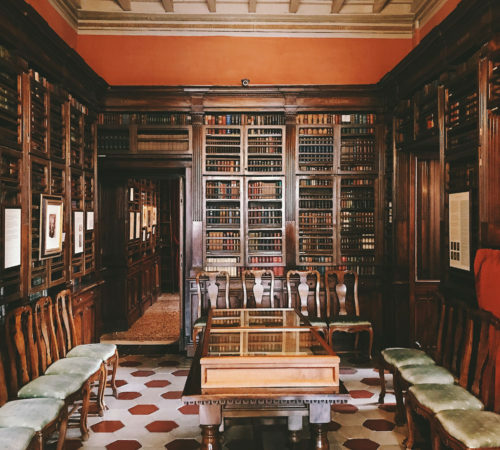 Rome is full of places where one feels like they’re stepping back in time; in rooms like the Villa of Livia, the past is as vibrant and alive as the present day. Scenic landscape near Appia Antica. 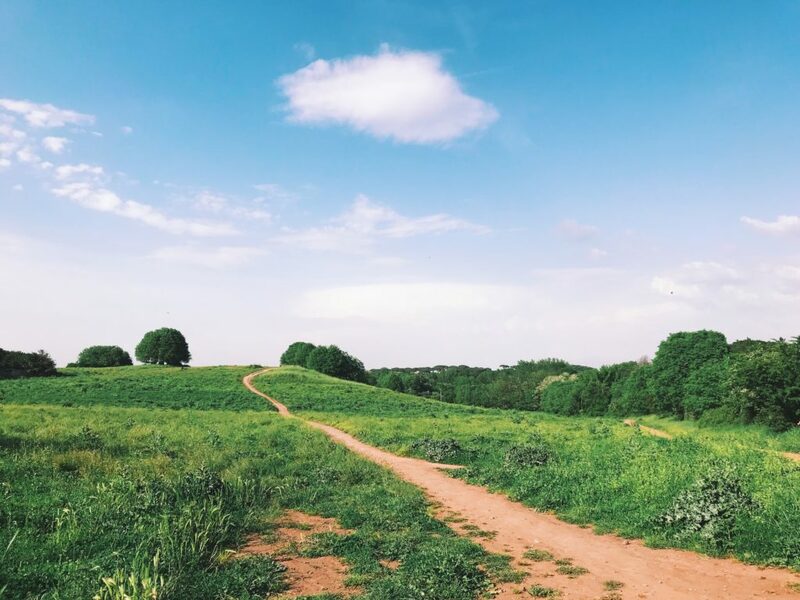 Walking or biking the Appian Way, the ancient road that connected Rome with south Italy, is a splendid way to spend a day outdoors in Rome. Appia Antica is lined with ruins, Roman funerary monuments, early Christian catacombs, ancient aqueducts, and clear views of lush greenery that stretch on for miles. 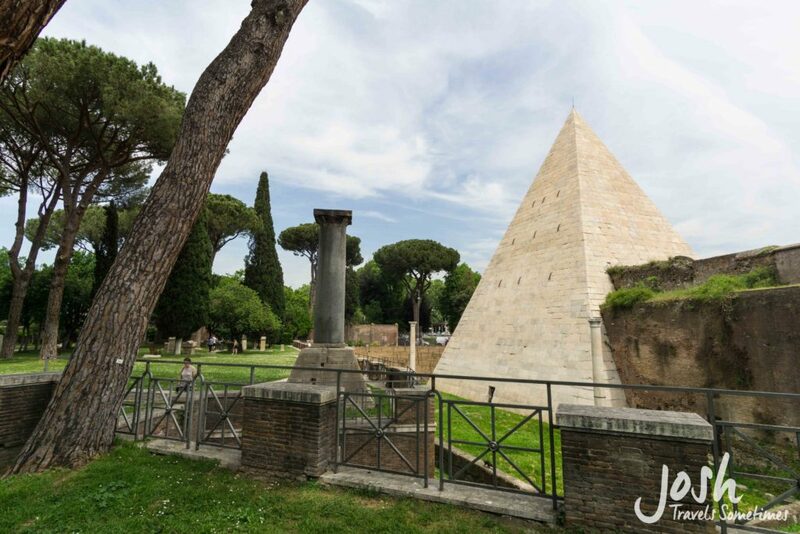 Pyramid of Caio Cestio at the Non-Catholic Cemetery in Rome. 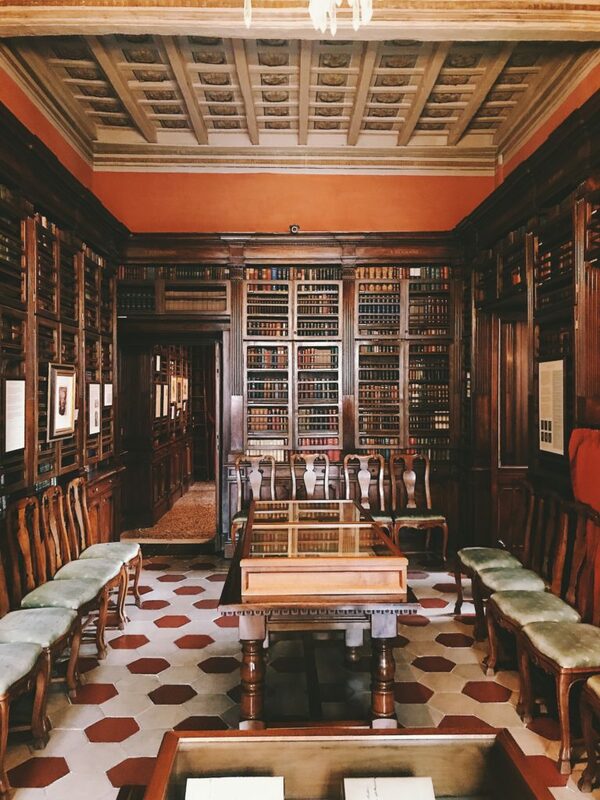 You’ve been to the Keats-Shelley House in Rome and you cannot get enough. Good news: there’s another Roman literary locale waiting for you. The Cimetero Accatolico (literally Non-Catholic Cemetery) is the final resting place of many Roman expats of the 18th and 19th century, including John Keats and Percy Byshee Shelley. The cemetery is located behind the astounding Pyramid of Caio Cestio (the namesake of the nearby Piramide Metro station) which helps create a sublimely beautiful and peacefully pastoral place to spend a few hours.